Glitra will be out to continue his impressive form at Doomben, providing Brisbane’s weather clears. Brisbane’s unsettled weather will decide if in-form gelding Glitra backs up at Doomben a week after his third at the Sunshine Coast. Doomben was rated in the soft range on Thursday and while it is a good drying track some further showers are predicted. Peter Hulbert, who trains Glitra in partnership with his son Will, said the gelding had come through his last-start third well. “It was a very good run as we were just edged out of second by a nose by a very good horse in Order Again,” Hulbert said. “The winner (Prioritise) had the sit on us and it was probably a case of our bloke having his first run for three weeks. “The 2000 metres is no worry as he was not disgraced the twice he has been over it in the Northern Rivers and he is going better now. Glitra has been in great form since joining the Hulberts with his five starts for them yielding two wins and three thirds. “He is going well and hopefully he can run Saturday as he looks one of the few leaders in the race. But if not, there is a race for him on Saturday week,” Hulbert said. 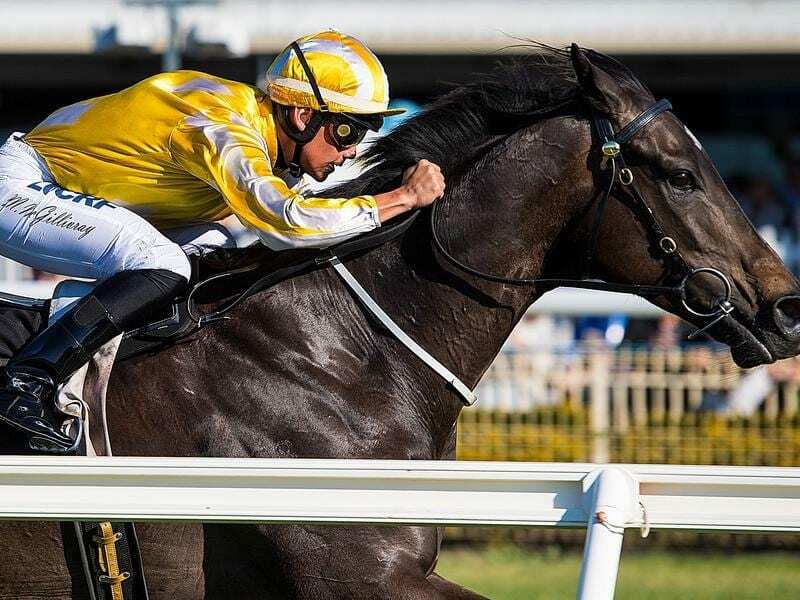 Among Glitra’s opposition if he runs will be the much-travelled Tasmanian galloper Brilliant Jet, a Doomben winner in late July, who will be having his last Brisbane run for this campaign. His trainer Aiden Nunn is a professional polo player who travels Australia with some racehorses. Nunn has finished his Queensland polo season and will head south with Brilliant Jet who is likely to also race in NSW and Victoria this spring. Brilliant Jet has won in four states and his targets include the Hobart and Launceston Cups next year. “I was going to run him last week at Caloundra but thought this suited better,” Nunn said.